and will be available soon in the App Store. 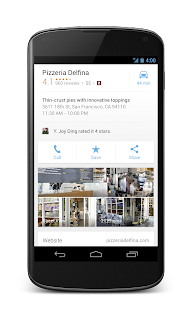 The new Google Maps for mobile builds on the design we released for iPhone last December and improves on it with a few useful search and navigation features. And it's the first dedicated app for Android tablets and iPads. We’re also retiring Latitude and are making some changes to offline and My Maps which we’ll explain in more detail below. Explore: Explore is a fast and easy way to visually browse and discover new places without even typing. 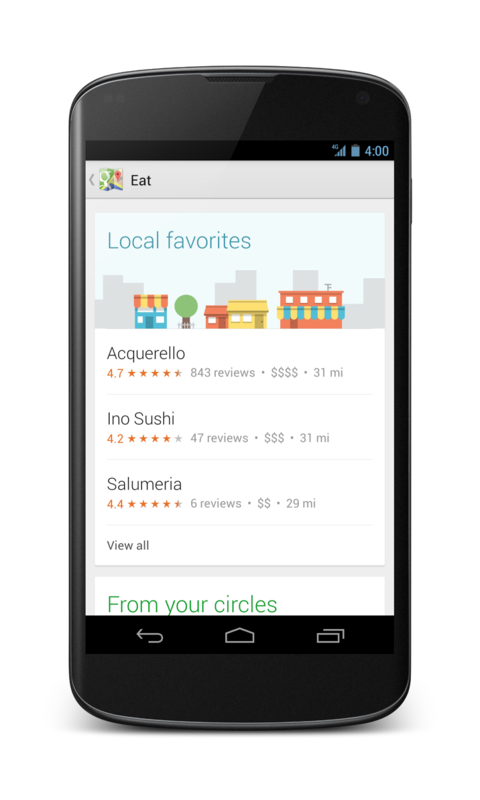 Simply tap the search box and you’ll see cards showing great places to eat, drink, sleep and shop. Enhanced navigation: In addition to current traffic conditions, we’ve added two new features to help you navigate around traffic. 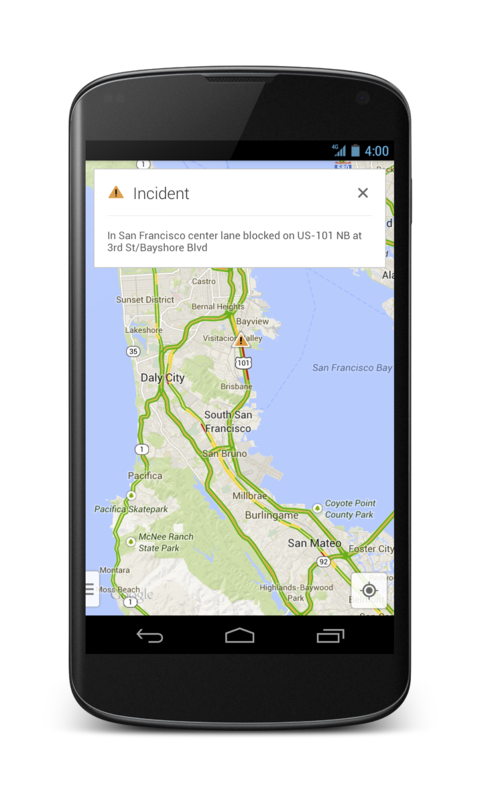 You can now see reports of problems on the road that you can tap to see incident details. 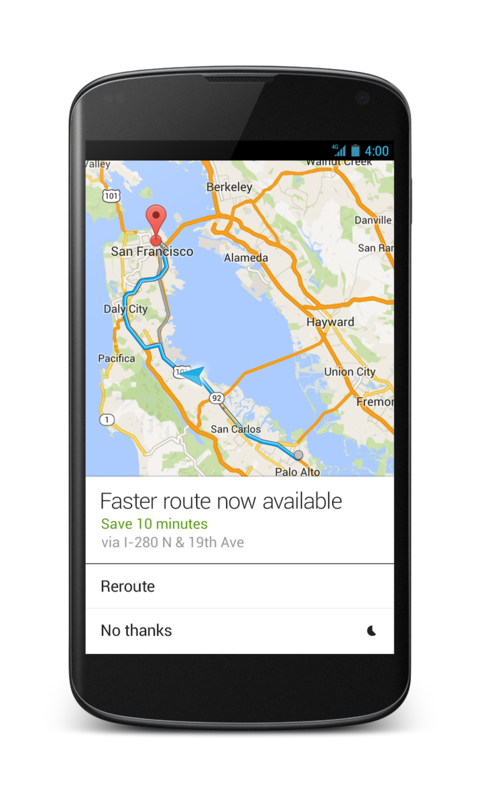 While on the road, Google Maps will also alert you if a better route becomes available and reroute you to your destination faster. This feature is available only on Android and is coming soon to iOS. 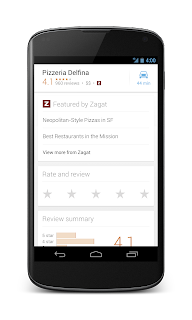 Reviews, Zagat and Offers: There’s a new 5.0 star rating system that gives you a quick read on how your friends and others rate places like restaurants, bars and cafes. For an expert’s opinion, the Zagat badge of excellence and curated lists are integrated into search results so you can quickly spot the very best places. From “Best Restaurants to meet for a drink in NYC” to “Best Restaurants in the Mission” in San Francisco, Zagat’s there to help you uncover the local gems. 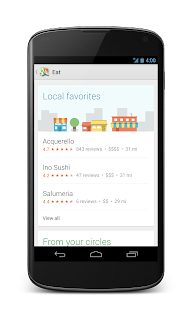 And finally, Google Maps for mobile is a great way to discover valuable Offers from national brands like Macy's, Michael's and Toys "R" Us, labeled right on the map. All these features can make it a lot easier to navigate the world, no matter what adventure comes your way. One important change you should know about is that Latitude and check-ins are no longer part of the new Google Maps app, and will be retired from older versions on August 9. We understand some of you still want to see your friends and family on a map, which is why we've added location sharing and check-ins to Google+ for Android (coming soon to iOS). More details about Latitude and check-in changes can be found in our help center. 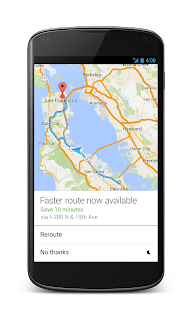 The offline maps feature for Android is also no longer available. Instead we’ve created a new way for you to access maps offline by simply entering “OK Maps” into the search box when viewing the area you want for later. 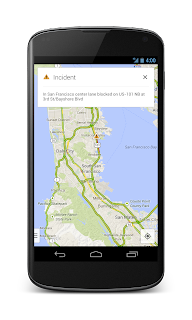 Finally, My Maps functionality is not supported in this release but will return to future versions of the app. People who want to create powerful custom maps can still do so with Maps Engine Lite on desktop. Helping you find great places is what we love to do. And as more of us use mobile phones and tablets in our daily lives, information that’s useful to you isn't just about what you need, but also where you might find it. Today’s update is an exciting step forward for Google’s maps—one that we hope will make it faster and easier for you to explore and discover places you want to go. *The new Google Maps for mobile is compatible with Ice Cream Sandwich and Jelly Bean Android devices and iOS 6+ when available. Please note some of the features mentioned in this post aren’t available in all countries. 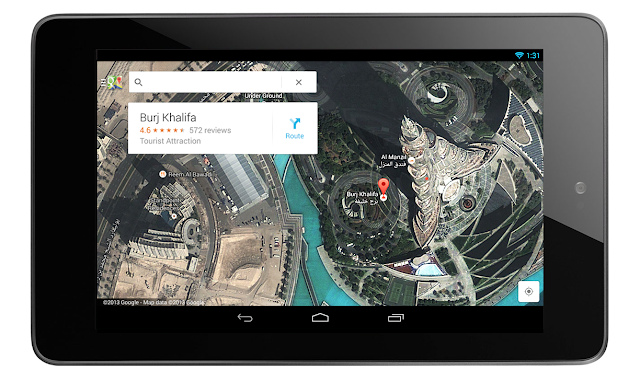 Today we’re introducing a new Google Maps app for Android smartphones and tablets, also coming soon to iPhone and iPad. It’s a new mapping experience that makes exploring the world and getting to the places that matter to you a lot faster and easier. 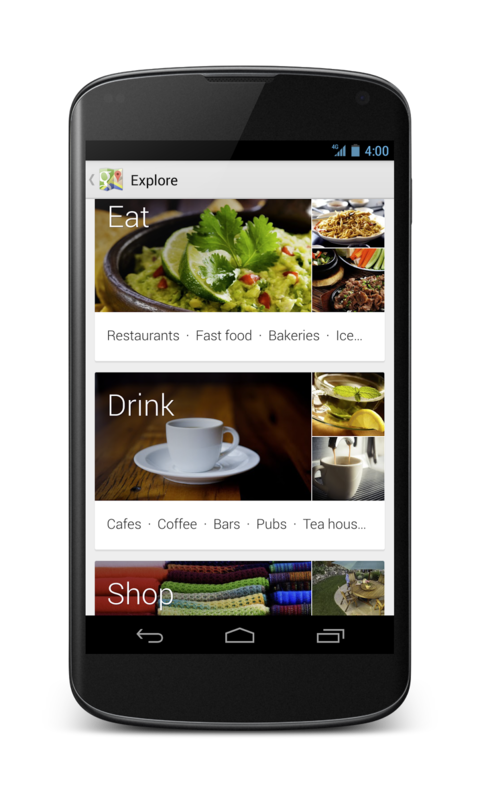 The app is gradually rolling out globally in Google Play and will be available soon in the App Store.